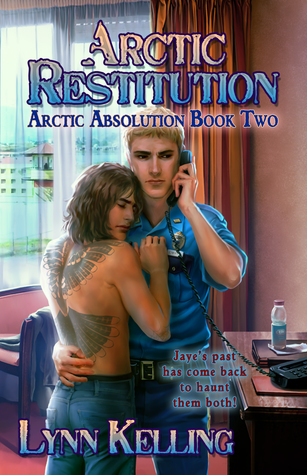 The exciting new release in the Arctic Absolution series is finally here! Join us during the last week of May 22-28, as we share rousing sneak peeks into what happens, before the first pages of Arctic Restitution. Enter giveaways and read behind the scenes of Lynn Kelling‘s new novel! Lynn Kelling is at On Top Down Under Book Reviews with thoughts on finding romance at the end of the world. Release of Arctic Restitution on all outlets! Read about how one little thing can change your whole life with the post It’s Not a Letter, It’s a Bomb at The Novel Approach. Lynn Kelling is talking about the lure of bad guys who live in shades of gray at Love Bytes. At ForbiddenFiction, Lynn Kelling discusses the task of Breaking the Hero, and when the worst possible thing happens on page one. Lynn Kelling is at Joyfully Jay with some secrets on what happens with the ex is a crime boss. Drawings will be called for our giveaways! Enter every day of the tour for multiple chances to win a free ebook on Rafflecopter or a print copy on Goodreads, in celebration of the release of Arctic Restitution Blog Tour! Congrats on the new book in the series! It looks fantastic! I can’t believe I don’t have any of Lynn’s books! Need to fix that quite fast. I’ve read so many good things about her stories. Congratulations and much success. I’d love to read this series, for sure. It sounds like the sort of stories I like reading, where one MC is broken and the other helps to fix him. LOVE!! Congrats on the release. I have to read this series. I haven’t heard of it but now that I have I will be reading it. Congrats Lynn on the new release. Looking forward to Jaye and Dixon’s continued story.